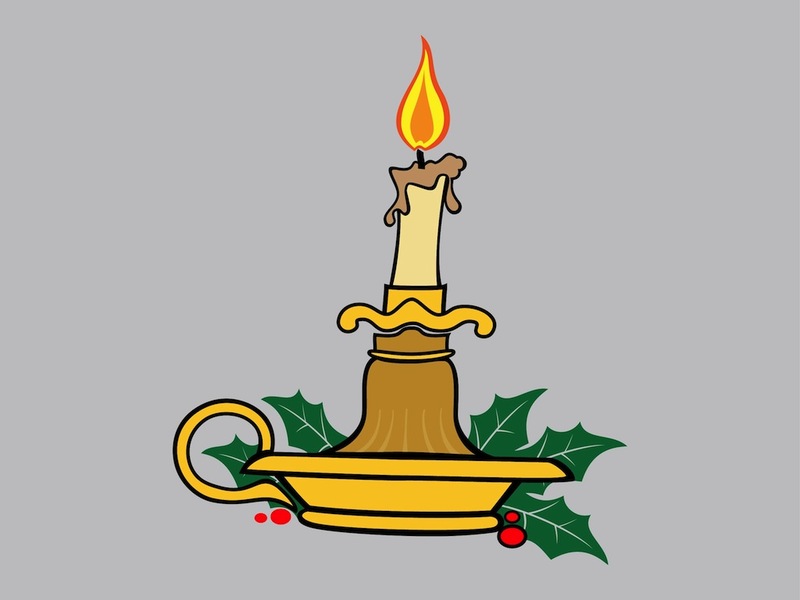 Festive vector graphics of a candle burning in a golden candleholder. Big flame melting the wax and mistletoe decorations around the objects. Free vector illustration for all Christmas, holiday, winter, celebration and festive traditions projects. Download festive candle for your greeting cards and posters. Tags: Burning, Candle, Christmas, Festive, Flame, Gold, Golden, Holiday, Mistletoe.